Emma and Jason, from Haslemere in Surrey, bravely share their story here to raise awareness as part of World Meningitis Day – Life After Meningitis. “Thomas stopped feeding initially when he was three days old. 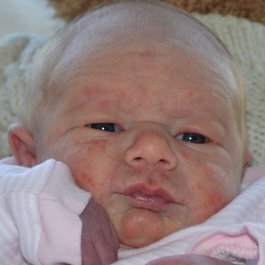 We were concerned that he might be a little jaundiced, which could cause babies to reduce their feeds, so took him to the local birth centre for them to check him. 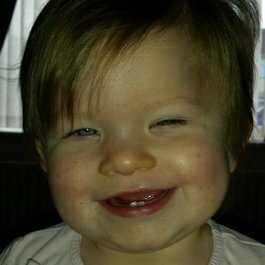 The results showed that whilst he was slightly jaundiced, he didn't need treatment at that stage." “After 12 hours since his last feed, we tried to syringe feed him to give him some energy, but he was starting to become more lethargic. 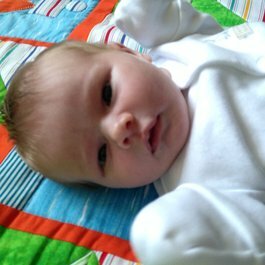 When we took his temperature, it had started to rise and we rushed him to the neonatal unit at our local hospital, having discovered that late results during a routine urine test whilst I had been pregnant had shown Group B Strep positive." “When he reached the hospital, he was having seizures and was very poorly. 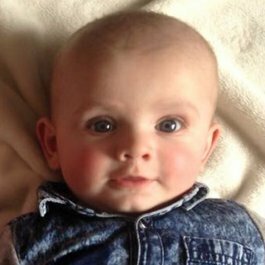 They suspected that he may have developed meningitis but he was too poorly to undergo a lumbar puncture to confirm. They immediately started a course of antibiotics and realised he needed brain monitoring." “We were transferred to Southampton Paediatric Intensive Care Unit, where they were able to monitor his brain activity. A scan a couple of days later confirmed that he did have meningitis and that he had been left with brain damage, resulting in cerebral palsy." “We started to discuss the impact this would have on Thomas's future, as well as on our lives and our family. The staff began to reverse Thomas's sedation. However, as he started to wake, it slowly became more apparent that he was continuing to have more seizures." “Thomas continued to have further monitoring of his brain activity and eventually had a further scan a couple of days later. The results of this showed that the brain damage had now extended to cover the whole of his brain and that it was terminal. We agreed to say our goodbyes to him and turn off his life support machine." “However, Thomas had other plans, and continued to fight for survival. He came round and we realised that we were to have a bit of a future with him. We left PICU, to go to Helen House Hospice with him, so that we could learn to care for him and for us to be able to take him home." “Our other two children at the time were able to join us, and having lived there for a couple of weeks, we returned home and lived as a family of five." “Thomas died at the age of 30 days." “Our family has been left with a huge hole. Thomas is missed every day and yet is still very much part of our family. His siblings still talk about him and remember their time with him." “We have since had a fourth child, who has grown up knowing that he has a brother that he will never meet. It was difficult as parents going through the worries of having another baby and history repeating itself." "It has changed us as people and as a family. We have lost and gained friends over it. I am a lot more paranoid and aware of our own fragility and that of my husband and other children. Living with the constant emotional turmoil of our grief has impacted my emotional capacity to deal with any additional problems and stresses that life can throw and, as a result, I have had to find ways of simplifying our daily routines." “I find it difficult to plan for our future, having had our lives turned upside down, and never feel secure in making commitments when I know there is a chance that life may take a different path." “I have had mental health issues of depression and anxiety, including separation anxiety from my family. Whilst we try to focus on the wonderful memories we have from our lives with Thomas, there are many harrowing memories which will also be part of his story and we have had to find ways of living with these."